The flashing details for flashing a stone veneer or stone faced masonry wall, with a face varying from the wall plane plus or minus 2” or more is not a well-documented subject. 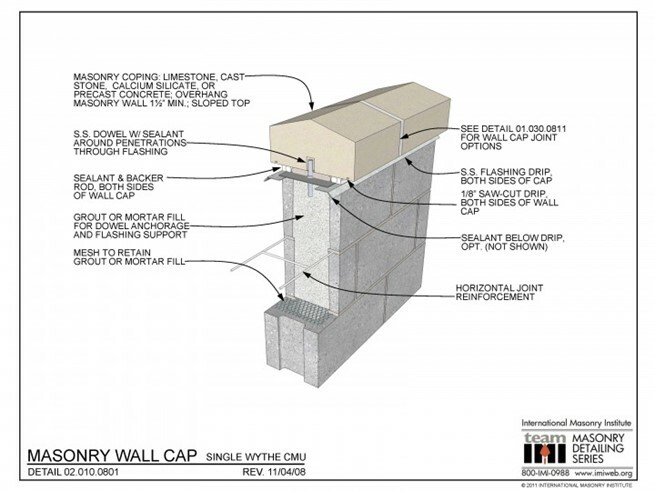 There is a lack of good flashing details depicting base, sill, head, or wall cap details for this type of wall. We know that moisture has numerous ways of entering masonry walls. The primary purpose of flashing is to allow that moisture a path to exit the wall via flashing and weep vents.